A Q&A Lesson in Local Food Literacy: Are there example cafeterias using local foods in their menus? 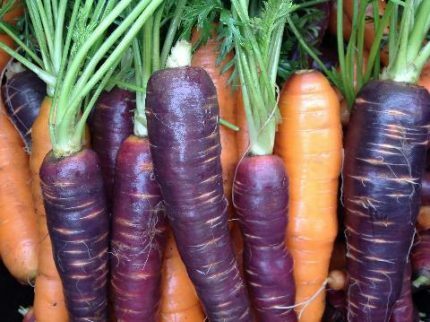 Next up in our blog post series on bringing Local Food Literacy into Ontario schools, we take a closer look at getting local food into our schools. Let’s turn to some exemplary cafeterias for some farm-to-school inspiration! Q: Students need to not only learn about local foods in the classroom, they also need to be able to purchase food that is in season from the cafeteria. Are there examples of cafeterias that are using more local foods in their menus and/or involving education in their mandate? 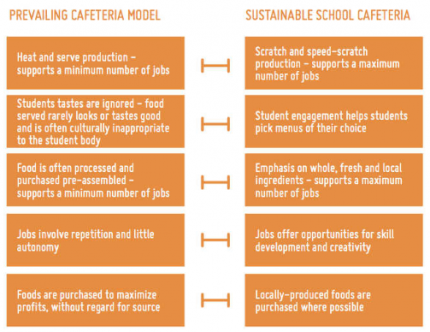 School food systems are complex and involve many players and policies. Those who influence school cafeteria purchasing may come to the table with divergent views on how the food system should operate and what should change. As a result, local food champions need to work strategically to bring the divergent perspectives together to identify common goals and achievable actions. It’s also important to explicitly address areas of concern to make sure that local food procurement strategies are realistic and supported by decision-makers. Starting with a pilot is a good way to support incremental change and build momentum. 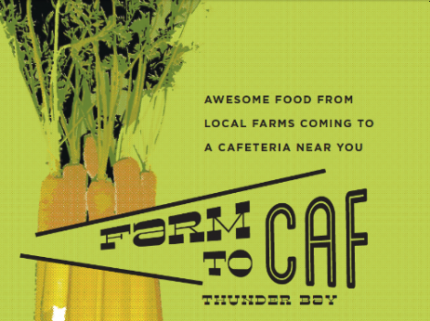 A student run café that offers healthy and delicious daily lunches using locally sourced ingredients to the student and staff. Feeds up to 300 patrons every lunch hour. This high school culinary arts program is led by teacher/chef Paul Finkelstein and has grown to include over 200 students per year. The program has incorporated a large kitchen classroom; 3000 square feet of organic garden; an organic greenhouse; a six acre school farm initiative; and a culinary club with national and international experiences. A chef created menus that comply with PPM 150. 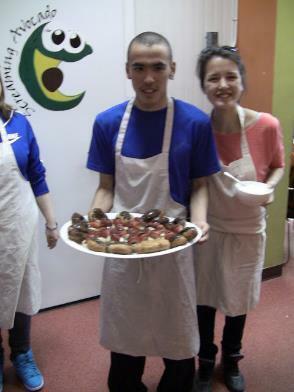 Students from the Food and Nutrition classes prepared, served and promoted the food. 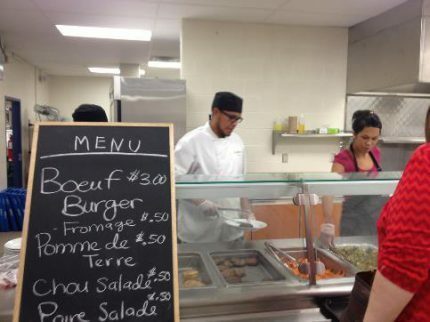 The program was implemented across all 4 of the Lakehead Public Schools (all of the schools run their own cafeterias). Students (especially those interested in working in food service) enjoyed doing large-scale food preparation and taking ownership over the school’s food. Staff and students enjoyed the freshness and local aspect and were excited to eat in the caf. Teachers in the Food and Nutrition classes loved the curriculum links. The cafeteria staff found that there were longer line ups and they were making more money on the days that they were providing Farm to Caf meals. This program is a collaboration between cafeteria staff, foods teachers, students, local producers and distributors. 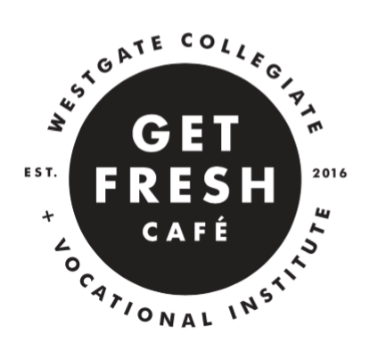 To position Get Fresh Café as hub for school food activities. To offer innovative meal and snack options. To ensure healthy choices are the first choice. To provide collaborative opportunities for student learning. To market and sell food with the end goal of being a self-sustaining business entity. 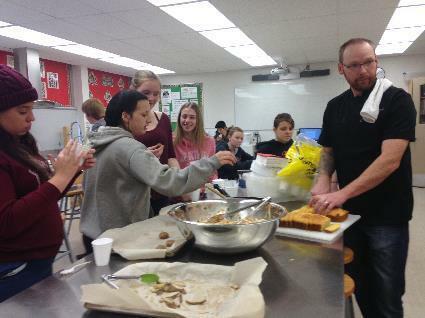 As one example: Students at Westgate High School learned and helped to make pizza dough using local Brule Creek flour to be served at the Get Fresh Café in Thunder Bay. This project, which was a partnership between Ecosource, the Durham District School Board (DDSB) and Compass Group Canada, brought more local food to school cafeterias while providing educational material and opportunities about local food to DDSB students and staff. Board-wide Harvest Days that celebrate seasonal local produce in all Compass managed cafeteria sites. Field trips & training with Compass Cafeteria Staff about local food and purchasing protocols. An inaugural Farmer’s Market celebrating Durham Farmers and the Big 6 Purchasing strategy at the DDSB Head Office. 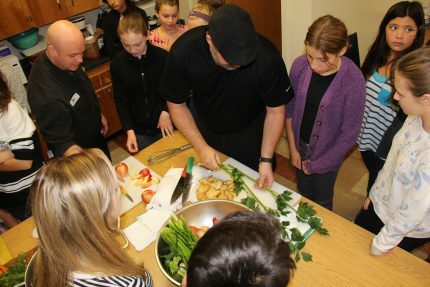 High school Student Workshops to foster awareness about the local food system. The launch of the Big 6 Cafeteria Purchasing Strategy which focuses on 6 Ontario produce items that were consistently sourced from Ontario farms for the 2014-2015 school year, in partnership with Bamford’s Produce. 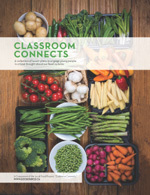 The Classroom Connects Curriculum Guide was developed by DDSB for 5 subject areas focused on the local food system. Check out the Classroom Connects Curriculum Guide at www.ecosource.ca/publications or visit http://ecosource.ca/food-in-schools/ to learn more about the Cafeteria Connects Project. FoodShare ran a number of Good Food Cafés as an alternative cafeteria model in schools that have had students involved in cooking and food service on a daily basis. All of the above content comes from the Local Food Literacy in Schools FAQ Guide, developed by Sustain Ontario, Ecosource, FoodShare and Roots to Harvest. ‣ Kingsville Public School had local restaurant owners come in and teach students how to use local ingredients and how to cook with them, mostly using food from the school garden and local farms. The four restaurant owners spoke to the students about the importance of using local ingredients, and showed the students how to prepare a salad and stew with seasonal vegetables! You can read more here. “The arrival of the salad bar has meant that we can easily showcase and serve food products that were grown, harvested and prepared by the students of our school. Our salad bar project is student driven. 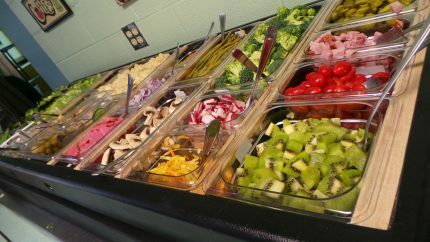 Students in our “Seed to Market” and “Exploring the World of Work” classes have been responsible for all aspects of the promotion and delivery of the salad bar. These student farmers and chefs work with farmers at Foodshare to plant and care for all of the greens and sprouts consumed in the salad bar. ” Read more here. ‣ Heydon Park Secondary School in Toronto has also proven that students are indeed excited about healthy eating, with students eager for Wednesdays now that it is “Salad Bar Day!” Check out their story here. ‣ Sutton District High School on the southern shores of Lake Simcoe has also been able to capitalize on a Farm to Cafeteria Canada Grant, increasing the amount of local produce served at their school through a salad bar service that gets tomatoes, lettuce, radishes and carrots from the school’s greenhouse. Learn more about their story here. We just can’t get enough of hearing about students who are connecting with the good food around them! So make sure to share your farm to caf inspiration with us on Twitter.